Choose a peaceful, homely campsite for your holidays in one of the most famous seaside destinations on the Atlantic coast. 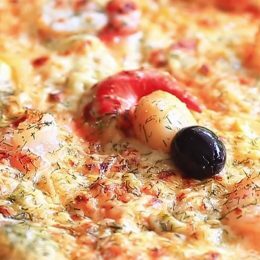 Our campsite welcomes tents, caravans, camper vans and has mobile homes and chalets available for hire to relax and fully enjoy Biscarrosse and the surrounding area. 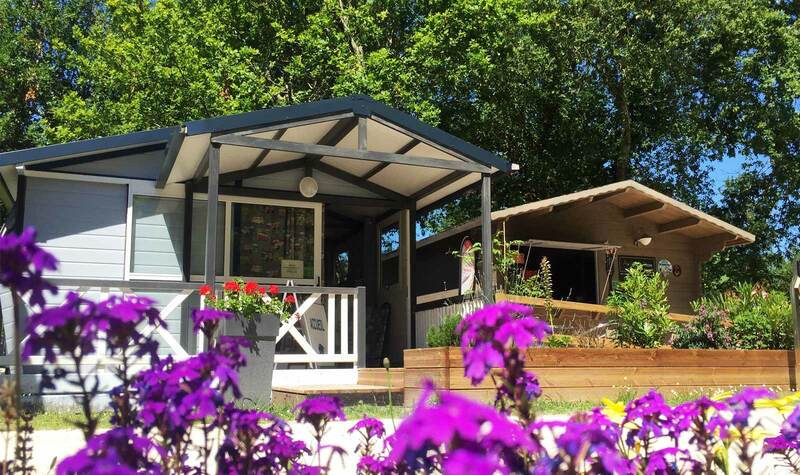 We are a 3-star campsite offering 89 pitches to holiday makers for a pleasant stay in the heart of the Landes forest, right next to the beach. This natural wealth makes the campsite an ideal place to enjoy many nearby activities. On the beach, the warm, clean ocean will provide hours of bathing, as well as opportunities to try water sports, such as surfing, windsurfing, or even diving in the lake and ocean. 900m from our campsite are several clubs on the shore, offering both beginner and development classes. On dry land, make the most of the various hiking footpaths and cycle paths to explore your surroundings, to discover natural areas and unexpected places near the campsite. 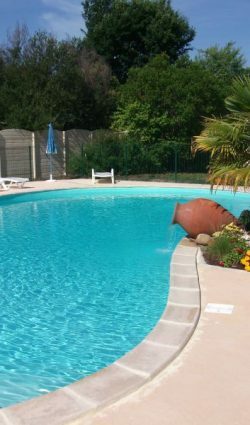 Also enjoy our lovely heated swimming pool to relax! 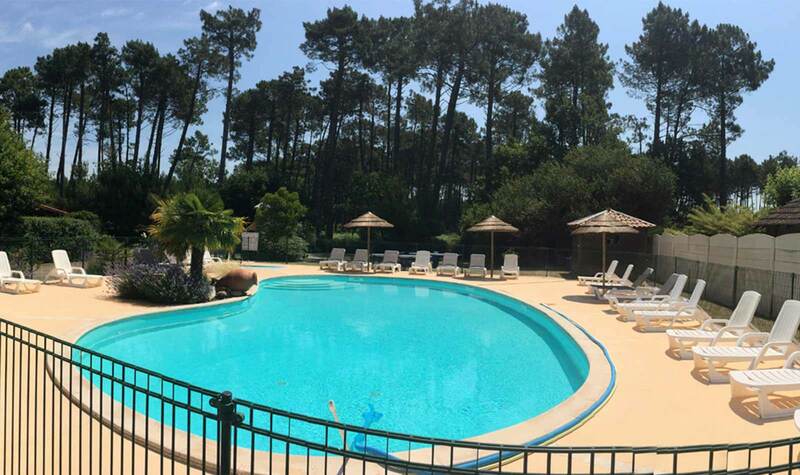 When you arrive at our campsite En Chon les Pins in Biscarrosse, we will do everything to ensure you have a great holiday in this little piece of paradise. For a comfortable stay, our campsite has luxury mobile homes and chalets for rent. 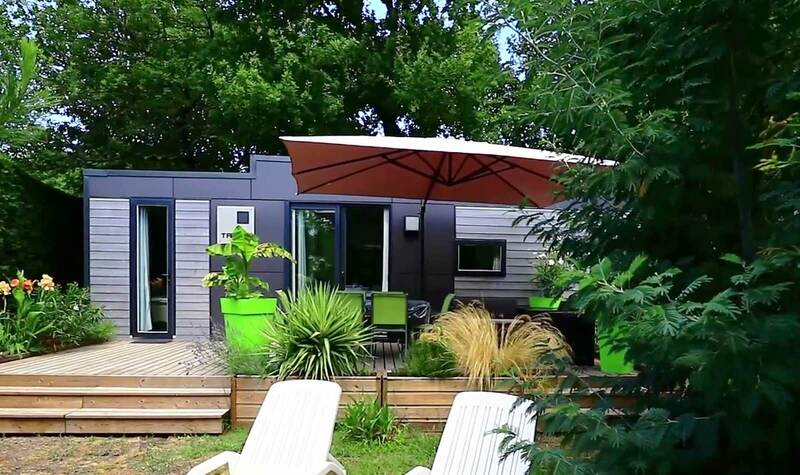 Our cosy, comfortable and colourful accommodation has 2 bedrooms, to sleep 4 people, or up to 6 people if you choose a luxury 3-bedroom TAOS mobile home. 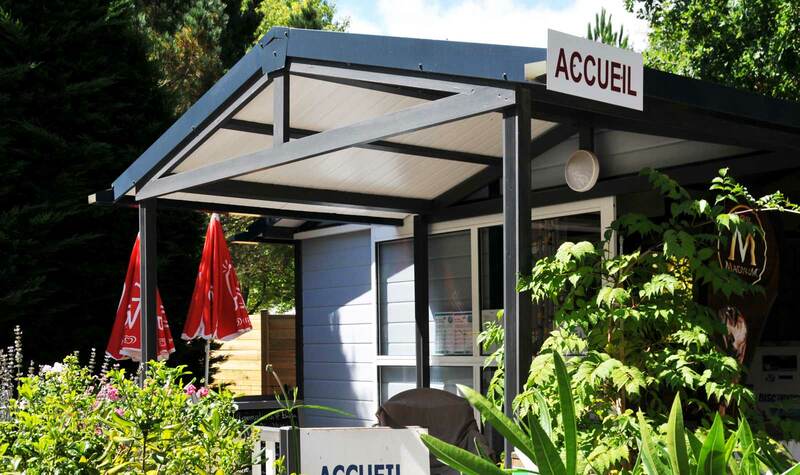 Located 900m from the superb Lac Nord de Biscarrosse, our campsite is a perfect holiday location. There’s so much to explore along your walks – natural sites and quirky places await on each walk and ride. We recommend that you explore the area surrounding the Lac de Biscarrosse, a magnificent, unspoilt and peaceful place. In the heart of the Landes is a vast network of cycle paths, whose superb routes are simply enchanting. These routes are called La Vélodyssée. 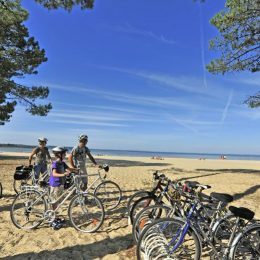 These cycle paths around the Dune du Pyla and the three Biscarrosse lakes let you admire the beauty of the Landes landscapes. Riding, swimming and soaking up culture, all whilst staying in a campsite…you’ll never be bored!